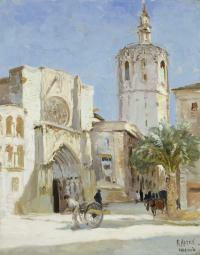 Alten returns to Spain in 1928, this time with his student Kreigh Collins (1938-1974). 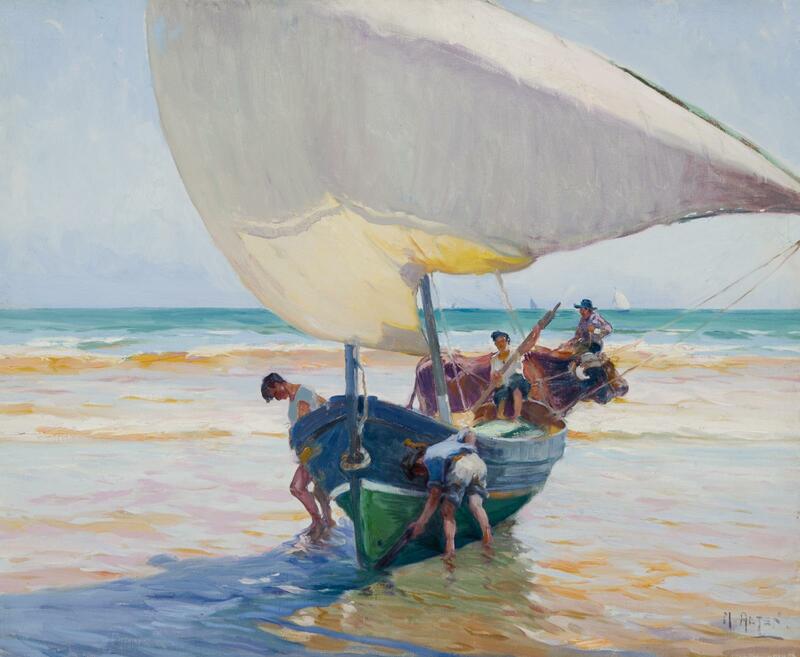 In July, while Alten is overseas, the Grand Rapids Art Gallery exhibits a variety of his paintings, including those completed in Spain, New Mexico, and Michigan. Multiple people around a boat just barely in the water. 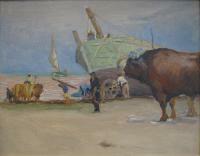 An oxen stands behind the boat. 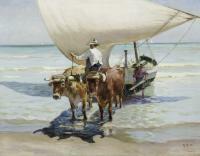 Boat has large white sail.